Whales Worldwide in association with The Wildlife Film School is running a small group Wildlife Photography expedition to Baja California Sur, Mexico – February 1st to February 7th 2013. This is a fully guided wildlife photography expedition (with a bit of landscape thrown in!) to this unique and beautiful land of birds, whales, fur seals, dolphins, deserts, mountains, sea and islands. 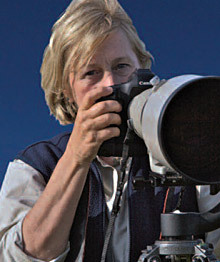 Your photography guide will be the well known Irish wildlife photographer Sheena Jolley. The Baja peninsular in Mexico has to be one of the finest wildlife photography destinations in the world, with an eclectic mix of some of the most unusual birds, whales and dolphins. There are also deserts, mountains, canyons, islands, bizarre rock formations and the unique architecture of the old Spanish missions. From the whales of the Pacific lagoons to the birds, dolphins and seals of the islands in the Loreto Marine Reserve – the wildlife photography challenges are many. Throw in the rapidly changing light conditions and you have a destination that will test the skills of the most experienced photographer. You will return a more intuitive wildlife photographer with several professional tips from Sheena to help you along the way. Our Mexican photography holiday base will be the lovely old town of Loreto which was the first Spanish settlement on Baja California Sur. The Spanish influence is still clearly evident in the old town. The settlement was founded in 1697 and served as the state capital of Las Californias until 1777. We will stay in the prestigious La Mision Hotel, widely considered to be the best hotel in Loreto, close to the historic district and overlooking the serene and calm Sea of Cortez – dubbed by Jacques Cousteau “The Aquarium of the World” due to it’s rich marine wildlife diversity. The bird life of the cactus forests and mangroves. All wildlife photography tours are lead by Sheena Jolley who is famous for her willingness to impart tips and advice on achieving that “special” shot – experience gathered over a career spanning three decades. One of Sheena’s key skills is her ability to achieve “movement” in her stills images making a shot interesting and unusual for the viewer and a challenge for the photographer. All boat based wildlife photography excursions are accompanied by experienced wildlife guide Nic Slocum but we use local boat handlers with local knowledge and expertise and adhere very strictly to current safety and wildlife engagement protocols. The gray whale mothers and curious calves will sometimes approach so closely to the boat that you can literally touch them let alone photograph them! The immediate area around Loreto is a land of contradictions. Desert, sea, mountains and islands which have nearly 250 km of coastline with 750 square km of sea around 14 islands in the Loreto marine reserve. The Sierra de la Giganta mountain range is one of the tallest and most spectacular in Baja and overlooks the town ofLoretoand creates a breathtaking backdrop. The surrounding desert landscapes are rich in unique plant and animal life. The weather around Loreto is generally warm with more than 300 days of sunshine annually. The summer months can be hot but temperatures during February and March are warm and comfortable. For those interested in local history the mountains around Loreto have ancient missions to explore. In addition to the unique whale and dolphin watching and photography opportunities the marine life includes the California fur seals (sea lions) and many unique bird species like turkey buzzards, blue footed boobies and many species of raptors – frequently in flight which tests the wildlife photographers expertise to the limits! Much of the wildlife and birdlife are very tolerant of man and one can get quite close for photography. The conditions are challenging though with ever changing light conditions, often we are shooting from a boat and frequently the birds are on the wing. There are many flying birds to practice on as the Frigate Birds and Turkey Buzzards cruise the skies looking for the dead and the dying and will often fly right overhead creating a photo opportunity with even a modest telephoto lens… compensating for that bright sky though can be challenging. We choose to stay in Loreto as this is an excellent destination from where we can get up into the mountains of the Sierra de la Giganta and out to the islands of the Loreto Marine Reserve. It is also the best spot in order to get across to see the Gray Whales on the Pacific side of Baja. Flights to Loreto only operate four days a week and the plane is a relatively small Turbo Prop Bombardier with limited seating so we have to book well in advance for groups to ensure we can get reservations to Loreto. There are other flights toLa Pazand Los Cabos on Baja but routing through these airports requires land transportation to get back to Loreto which uses up time. This is why we start marketing these holidays very early. Also for this reason we also take the deposits early and final payments early as we have to pay for hotels and flights at the time of reservation. Thank you for your understanding. If you would like to book place/s on this wildlife photography holiday please request a booking form. A deposit of €600 will secure your place. In order to secure the flights from LA to Loreto we look for the balance of payment in June. To make life as easy as possible we are able to take payments in € (euro) or £ (sterling) equivalent. We can take credit cards, bank transfers or cheques…whichever is most convenient. Needless to say that if Whales World Wide cancels the tour for any reason then any monies paid are returned in full. Return flights to Los Angeles. Fares are reasonable at this time of year and we will help in researching the best airfares for you if required. We don't include hotel accommodation on the return leg at Los Angeles airport as many customers take an extra day or two out to explore the Los Angeles area. Breakfasts and evening meals. Meals are very reasonably priced in Loreto. Lunches are supplied on the tour days Saturday to Wednesday inclusive. Personal items purchased while on holiday such as souvenirs and presents. Alcoholic beverages you might require at any time. Any tours or vehicle hire you require outside the published itinerary. The adventure begins. Flight to Los Angeles International Airport arriving afternoon or early evening. Staying one night close to the airport in one of the excellent airport hotels – a chance to unwind, have a nice meal or simply catch up on some sleep. After a leisurely breakfast the following day (Friday) we will fly down to Loreto, Baja California Sur leaving at around 1pm. There is only the one flight a day to Loreto and it takes around two hours affording you the first glimpses of this amazing Mexican desert peninsular and coastline from the aircraft. We arrive in Loreto late afternoon and settle into our hotel, La Mision on the Loreto waterfront, close to the old historic district and overlooking the Sea of Cortez. The transfer to our hotel from the airport at Loreto is around 15-20 minutes. There are buildings in Loreto that date back to the 17th Century! Evening is free time to explore the area and get to know your way around Loreto meeting at “La Palapa” for Margaritas and to talk through the weeks itinerary and activity programme. We will have time this evening to go through some of the photographic objectives for the week. We head off for a day tour to Puerto Adolfo Lopéz Mateos on the Pacific side of the Baja peninsular to see the Pacific gray whales and their two tonne calves! 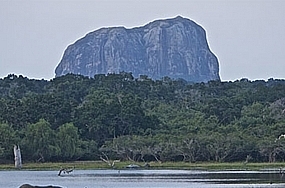 Although you can see the whales from the land here we hire a Panga (local boat) with a local boat handler and head out on the calm waters of the lagoon looking for these huge mammals. Prior to their arrival on the Pacific coast of Baja these whales have made one of the longest migrations in the animal kingdom; travelling non stop from their northern feeding grounds in the Bering Sea all the way down to the bays and lagoons on the Pacific side of the Baja peninsular; a 12,000 mile round trip! The more inquisitive animals will approach the boat affording us excellent close viewings. Here we have the opportunity to shoot some of the best images of whales imaginable given that this is a challenging wildlife group to photography. Shooting from the boat as well makes for a rewarding morning! After lunch we head back through the cactus forests and have the opportunity to stop and attempt to get shots of the ospreys and caracaras that may be seen among the huge stovepipe cacti. <em>Today we</em> head up into the mountains of the interior of the Baja peninsular, the Sierra de la Giganta, We will walk the old dry watercourses in the mountains looking for egrets and herons and other smaller birds that come down to the dwindling pools of water to drink. We will also visit the old mission of San Javier, the second mission to be established on Baja in 1699 and one of the best preserved. It is still in use today. The mission nestles at the base of the mountains in an oasis of green palms and colourful flowering shrubs. For the patient among us there is the possibility of getting a shot of the endemic woodpecker species that dart between the palms. We take a boat based tour out of Puerto Escondido near Loreto looking for the great baleen whales - fins and blues - the largest mammals on earth. There is a good chance during February of catching up with the giant blue whales as they move in around the islands of the Loreto Marine Reserve. Several dolphin species frequent the area including bottlenose and common dolphins along with their larger cousins, pilot whales and killer whales. We have seen all these species in the Sea of Cortez during February and March. The iconic shot of the blue whale raising its tail flukes high in the air prior to a deep dive is a shot that eludes all but the most vigilant and prepared wildlife photographer. A tour to Coronado Island from Loreto, one of the prettiest islands in the Bay of Loreto national marine reserve. After a boat based tour looking for many unusual bird species like frigate birds, turkey buzzards, osprey and the engaging blue footed booby in addition to the localCalifornia fur seals and usually dolphins; we will spend time exploring this fabulously beautiful volcanic island. The islands dotted around this part of the Sea of Cortez are stunningly attractive with unspoiled, sun drenched white coral sand beaches and out of this world rock formations. Lovely desert scenery and plants with many unusual species of cactus and succulents adapted to the harsh, dry environment provide some "up close" photographic opportunities. One delight of this day is to lie on your back on the white sand beach and watch the frigate birds and turkey buzzards cruise overhead. There are some lovely but challenging photography opportunities on this tour for the amateur and professional photographer alike. Some shooting from the boat and some land based. Today offers a split option. <em>Option one</em> is to join a day tour to Puerto San Carlos and the Magdalena Bay area on the Pacific side of Baja to see the Pacific Gray Whales again. Here there are more adult animals with a chance to see the magnificent leaps out of the water (breaches) that the young males do when they are getting a little frisky! After an early start we will spend the morning marvelling at the rich diversity of the wildlife of Magdalena Bay, with gray whales, California fur seals (sealions) and many bird species such as brown pelicans and frigate birds. Following lunch we will return through the Sierra de la Giganta mountains to Loreto and a well earned aperitif before going out for that special last evening meal. <em>Option two</em> is to spend the day around Loreto and the Nopolo watercourses. Firstly the smaller birds of Loreto followed by the waders of Nopollo. The lead wildlife guide on this wildlife photography expedition will be: Nic Slocum PhD. Nic is an experienced naturalist and wildlife guide and is best known for his escorted tours taking enthusiasts out, both in Ireland and overseas, to view and photograph whales and dolphins. Nic has maintained a lifelong passion for the conservation of our wildlife and wild places and has appeared as an expert commentator on RTE, Channel 4 and ITV. A zoologist by training, Nic has published articles on conservation related issues in both regional and national newspapers. 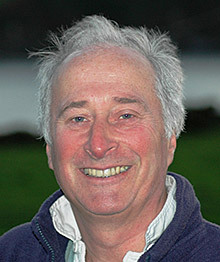 Nic Slocum lives and works in West Cork and is a director of Whale Watch West Cork which runs tours to watch whales and dolphins off the coast of southwestIreland. Nic has been watching whales and dolphins from boats for over 25 years in places as far apart as New England, Argentina and New Zealand. Nic is no stranger to adventure and leading groups to remote places on earth; in 1976 he led an expedition across the Sahara desert crossing by the central Ahaggar mountain route and re-crossing via the Tanezrouft Reg which earned him Fellowship of the Royal Geographical Society.